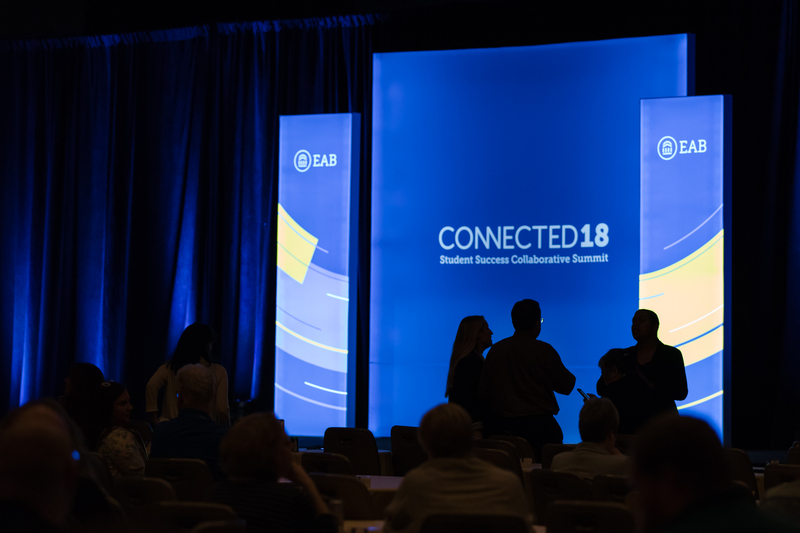 This integrated marketing campaign branding was developed for EAB's biggest student success annual conference called CONNECTED18; an event that brings together leaders all over the country for thought-provoking research, facilitated networking, and stories celebrating the personal side of student success. The branding for this event visualized the true connectivity of this event through vibrant concentric circles. This design was displayed across all CONNECTED’s collateral creating a harmonious experience for all those attending.